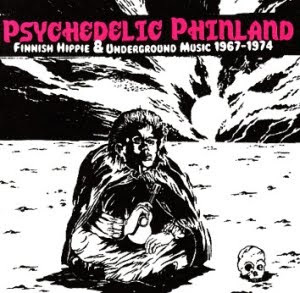 There's 29 tracks from almost as many artists, a fantastic trip into the early daze of the Finnish freak-scene. Psychedelic Phinland is just as political, and parodic, and perverse as it is potheaded. There's plenty of Flower Power pop and/or fuzzed-out blues rock, but you'll also find jazz-damaged prog and mystic folk, revolutionary theatre and electronic insanity.